It’s a well-known fact among locals that craft beer tastes best after a day outdoors. Explore Colorado’s mountains — whether hiking, biking, horseback riding or zip lining — and then stop into one of our breweries for the perfect post-adventure pint. Try This: Ride the rapids via kayak on man-made chutes at Confluence Park, where Cherry Creek and the South Platte River meet. Nearby Confluence Kayaks can outfit you with equipment and rentals for your paddling adventure, and also offers lessons. Pair It With: A German-style beer garden experience and plenty of sunshine at Denver Beer Co., where you can post up at one of the outdoor community tables with a Graham Cracker Porter in hand. Try This: Explore the shaded hiking trails at Golden Gate Canyon State Park, where peaceful ponds, gentle streams and colorful wildflowers set the scene. Make sure to take in sweeping views of the Continental Divide from Panorama Point. Pair It With: Mountain views and craft brews on the patio of Cannonball Creek Brewing Company, whose Featherweight Pale Ale is a Great American Beer Festival medal winner. Try This: Go trail running past lush meadows and jutting sandstone formations at Roxborough State Park, or head out on the water at Chatfield State Park with a stand-up paddleboarding lesson on the reservoir. Pair It With: An array of craft beer — from American IPA to farmhouse style ale (including several gluten-reduced beers) — at Living the Dream Brewing. 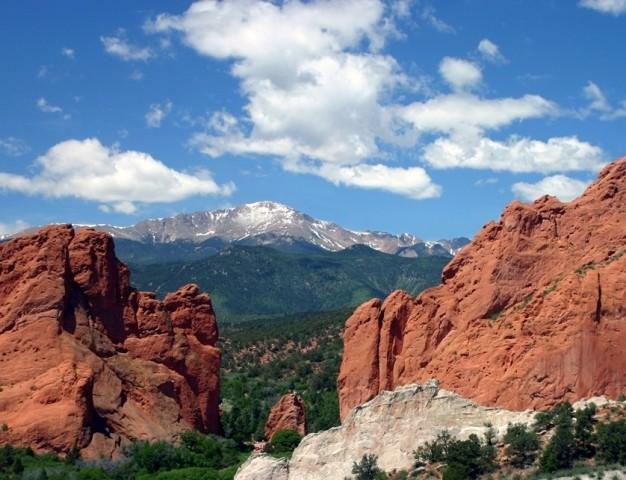 Try This: Stroll through Garden of the Gods to take in views of dazzling red sandstone rock formations juxtaposed against bright blue skies. If extreme is more your speed, go for a lung-buster: the treacherous Manitou Incline, which climbs 2,000 vertical feet over one mile, rewarding trekkers with wide-open valley views at the top. Pair It With: Craft beers with complex flavor profiles (think: crystal ginger wheat ale or sour mash kiwi and strawberry ale) at Phantom Canyon Brewing Company, which also boasts a menu of generously portioned gastro-pub dishes. Try This: Make the one-mile trek through lush foliage up to Hanging Lake, where you’ll discover a picture-perfect scene of a waterfall cascading into brilliant teal waters. Or soar over the Colorado River at Glenwood Canyon Zipline Adventures. 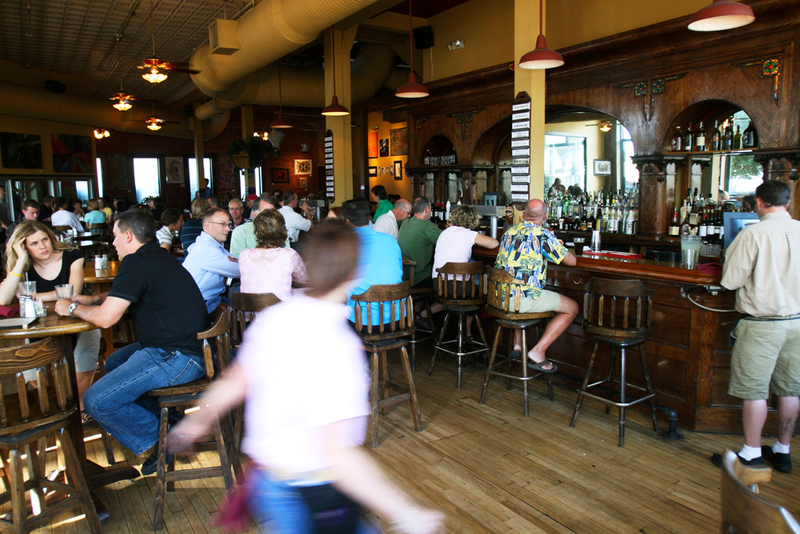 Pair It With: A couple pints of flavorful craft beer with locally inspired names, such as the Hanging Lake Honey Ale or Grizzly Creek Raspberry Wheat, served up in the cozy atmosphere of Glenwood Canyon Brewpub. Try This: Enjoy a leisurely horseback ride through vivid desert landscapes, followed by a float down the Colorado River when you book the Saddles and Paddles trip with Rimrock Adventures. Or, road bike along the paved, 23-mile Rim Rock Drive, which winds through dramatic cliffs, canyons and formations in Colorado National Monument. Pair It With: Refreshing German and English-style craft beers (as well as generously portioned salads, sandwiches, calzones and pizzas) at Kannah Creek Brewing Company. Try This: Spend a day mountain biking near Durango, where backcountry singletrack trails such as Hermosa Creek Trail and Colorado Trail at Junction Creek weave through the San Juan National Forest, providing plenty of opportunities to kick up dirt. Pair It With: Ska Brewing’s big, bold craft beers, which include hoppy IPAs, rich stouts and thirst-quenching ales. Read more about craft brewing in Colorado and find out where to take free tours of breweries, wineries and distilleries across the state. Find places to enjoy delicious food and beer pairings, and check out other activity-and-beverage combos. And check out our Colorado Outdoor Adventure Blog for more inspiration.